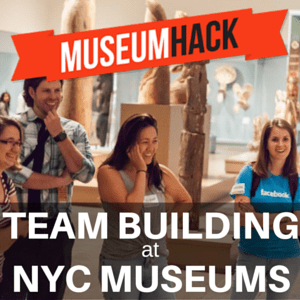 Museum Hack offers interactive, fun, and engaging tours will make you fall in love with museums as you experience them in a completely new way. We offer Public Museum Tours in New York City, Washington DC, and San Francisco. 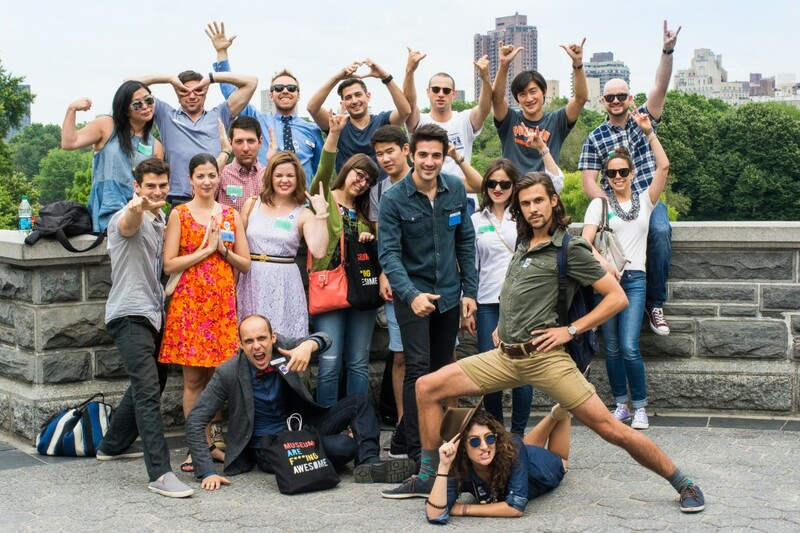 We do Company Team Building tours that engage, energize, and get your team having an actually fun time. We want to change the way everyone sees a Museum. It can be known to be boring and mundane, but at Museum Hack, we aim to change that by making it fun, exciting, educational and entertaining all in the same. Our aim is to not only have you say this was a positive experience, but to be raving about how much fun you had while learning about the amazing features the Museum has to offer. We’ll whisk you off to all the hidden, awesome, and AMAZING places in the Museum that most visitors rarely get to see. We will customize your tour to focus on your company values, your team’s interests, themes, industry, challenges, ideas. We’ll demonstrate our out of the box, disruptive thinking and our ability to engage, both in storytelling and museum experience building. We can offer a variety of games and activities to pique your interest including team building, scavenger hunts and storytelling workshops to really build up your team! We can also offer a glass of wine so you can sit and relax and talk more with each other in a comfortable environment. If you’re looking for something really special, we have a musician, magician and photographer that can really make the magic happen! To get started just send a quick message to [email protected] or call us at 1-800-210-9676.